It’s been another busy week at work and it’s flying by, so I’m not complaining. Poor Miko is because it has been down pouring rain since last night which means no walks. 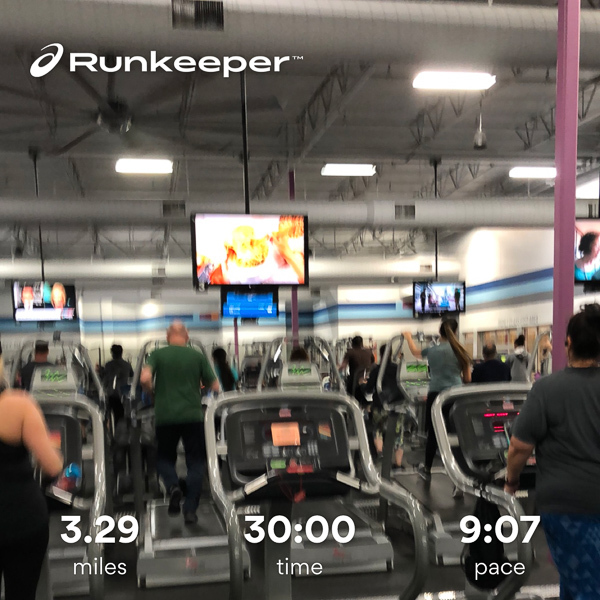 We’re grateful for the rain and it means more runs at the gym. 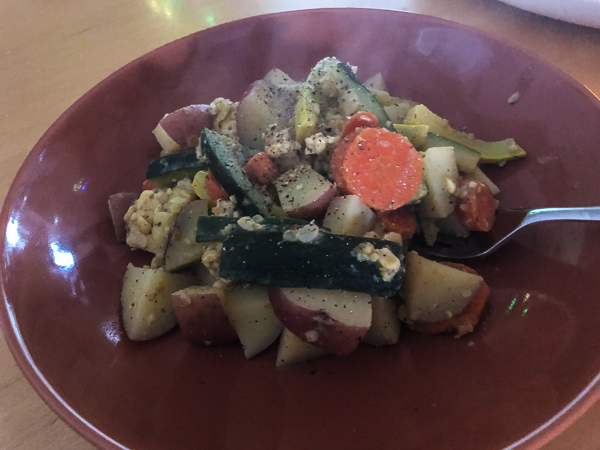 But between being busy at work and maybe feeling a little bit of the winter blues, I have been dragging with meals and creativity with recipes. It’s been more simple dishes this week like an Italian seasoned tempeh squash stir fry. 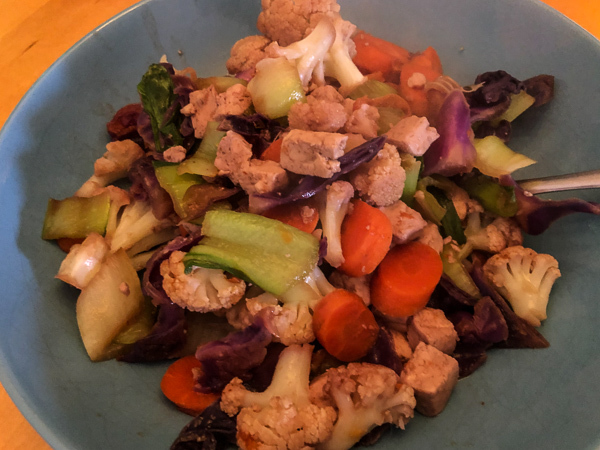 Colorful tamari tofu stir fries. 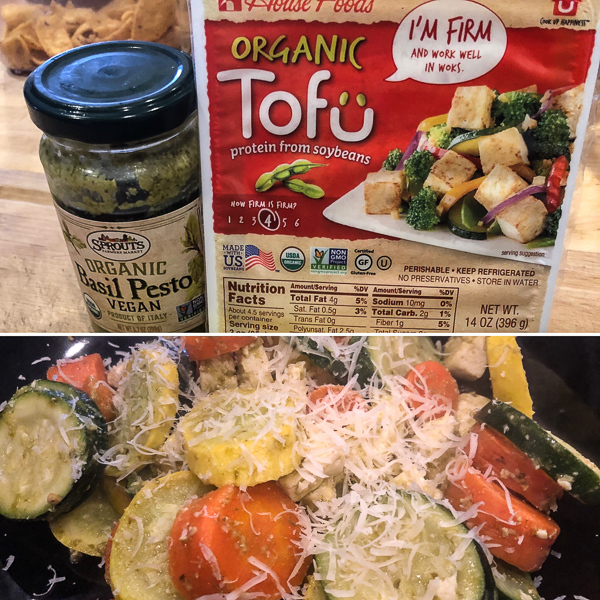 And tonight’s simple tofu dish made delicious by Sprouts brand organic vegan pesto, tofu, and Violife Just Like Parmesan Wedge grated on top. A little goes a long way with the vegan pesto and the parm added such a nice flavor making this simple veggie dish excited, but also simple. We also tried Trader Joe’s Vegan Jackfruit Cakes. The cooking instructions were a little wonky wanting an hour to defrost first, so hubby air fried them out of the freezer and they came out great. 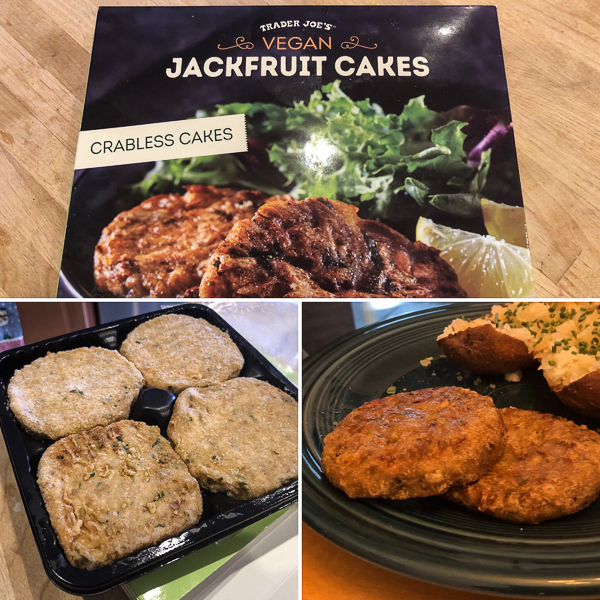 Not exactly crab like, especially compared to the Gardein Crabless Cakes, but delicious for using lighter jackfruit with a nice, crunchy outside. And they could make a good veggie burger alternative too. I know what you mean about the weather. Creativity is not my strength in the kitchen these days. Although I have finally learned to prepare zucchini in a way that my kids actually fight over it. But I have to use oil. Lots of garlic and onion, too! Not sure which is better….rain or snow. Um. I guess neither. Yes, days of cold and gray mixed with work stress and I just want simple! 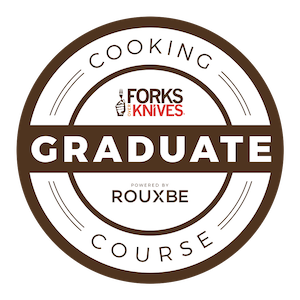 That’s awesome of your kids, score on the recipe and baby steps to get it healthier. Oh man, isn’t that parm simply the best? It’s easily one of my favorite cheeses at the moment, especially since it’s so potent and can be extended through many delicious meals. Yes it is, we need to make another Whole Foods trip to find more!